For the last few years the National Tourism Authority of Ireland has been promoting the Wild Atlantic Way. And in doing so, created one of the longest designated coastal tourist routes taking in the drama and culture of the western coastline. Following the success of that marketing campaign tourism attentions now turns east. 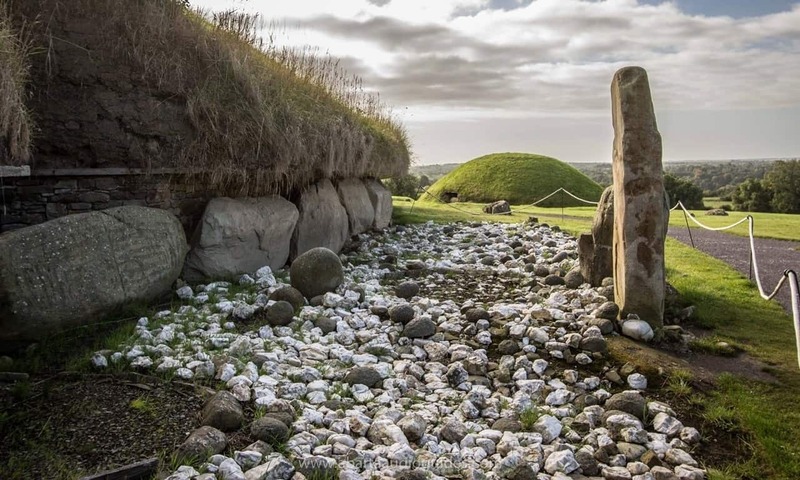 Ireland’s Ancient East encourages us to visit the country and explore over 5,000 years of history; from prehistoric tombs to Viking settlements and atmospheric Gothic architecture. Neil Jackman and The Collins Press have produced an alluring and timely guide to this extraordinary and fascinating part of Ireland. Anyone who follows Neil Jackman’s Abarta Audio Guides page on Facebook will already be familiar with his wonderful photographs of archaeological and historic sites in Ireland. You will also know of his audio guides to some of these sites. In good time for the national campaign promoting the archaeology and history in the east of Ireland The Collins Press has just added another beautifully produced guidebook to its portfolio of guides on the heritage sites of Ireland. 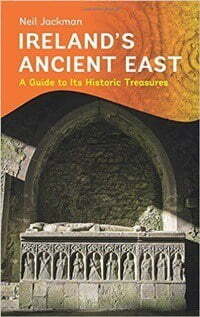 That book, Ireland’s Ancient East: a Guide to its Historic Treasures by archaeologist Neil Jackman, is an engaging and practical guidebook to visiting places that span some 5,000 years of history. With one hundred listed attractions, from Neolithic dolmens and megalithic funerary monuments, to round towers and Anglo-Norman castles, and historic gardens and museums, this is the first guide to specifically focus on eastern Ireland’s heritage. As the author points out, the one hundred sites are only the tip of the proverbial iceberg. The final list of recommendations then is a personal one, some of the more well known sites (most notably Newgrange and Blarney Castle) are complemented with such hidden gems as isolated Neolithic dolmens or the Medieval monastic community of Glendalough. Each site is numbered, 1 to 100, from north to south, and so ordered in the book. Besides an introduction, which varies in length according to the significance of the place and history of work there, each site has a ‘key fact’ box giving the practical information people require to get there and what to expect of their visit. Longitude and Latitude coordinates and grid references are supplied, as are quite detailed directions. How many times have you arrived at a site, only to find you have half an hour left, or worse you should have come yesterday? Jackman has you covered! Also included for each site is crucial information about opening times and dates, the cost of entry, car parking availability and other facilities visitors can expect. And each box references a ‘site map’. An obviously necessary feature of any guidebook are the maps. At the back of the book there are 11 maps. The first shows the location of the 17 counties that make up Ireland’s east, and the second shows the location of each of the one hundred sites. There follows then a series of nine larger scaled site maps, indicating the location of a set of sites by region. These are particularly useful for people exploring a specific part of the east. I was particularly glad to see all these maps together at the back. This makes them easy to find, they are in one place at the back. Perhaps I am being pedantic, but for me maps scattered throughout a guidebook are impracticable. 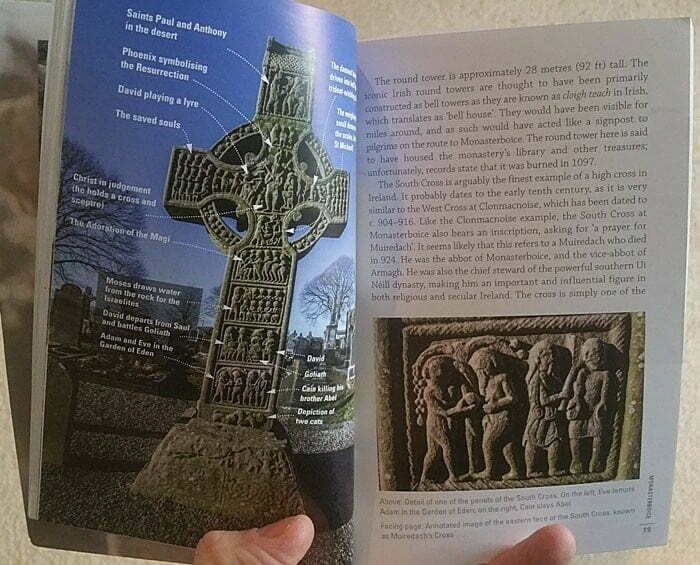 Examples pages from Ireland’s Ancient East by Neil Jackman. Although Ireland’s Ancient East is not a book you would pick up to learn all about the political and social processes of the last 5,000 years of Irish history, the introductions provided for each site are very engaging. They certainly made me want to read more about the archaeology and history of Ireland (and for this an extensive bibliography has been provided). The introductions give a brief background to the historical significance place. 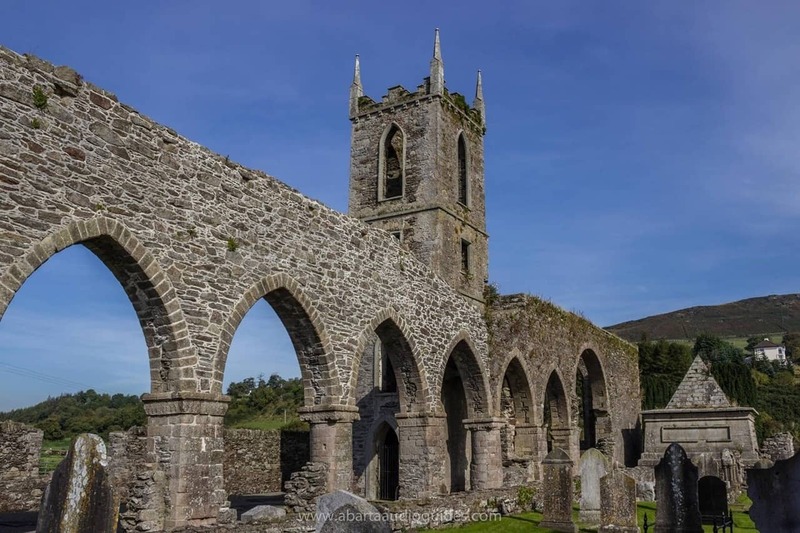 As an example, for Tintern Abbey (County Wexford) we are told about its founding as a Cistercian monastery, and of course its dissolution in the 1540s under England’s King Henry VIII. But we are also told what to expect when we visit and what not to miss. Apparently at Tintern Abbey it is the walled garden. For some sites, the attention to detail will be very welcome, and make this a handy book to have. At the monastery site of Monasterboice in County Louth for example you will find what is said to be the finest example of a decorated high cross in Ireland (see the example page on the far left above). Not only does Neil Jackman’s photograph capture the exquisite detail of the carvings, but his annotations to the illustration allow us to further understand and appreciate the rich symbolism of the imagery on the cross. Sadly some of the most practical and informative guidebooks are quite dull. With these I sometimes wonder if they do encourage people to visit that site or not. Often, but perhaps less so nowadays, the very simple production does not help. This book is not only practicable with the user in mind, it is well written and readable, beautifully illustrated and produced. And the perfect size to be quite manageable. With well crafted text and atmospheric photographs, this is an alluring guide. 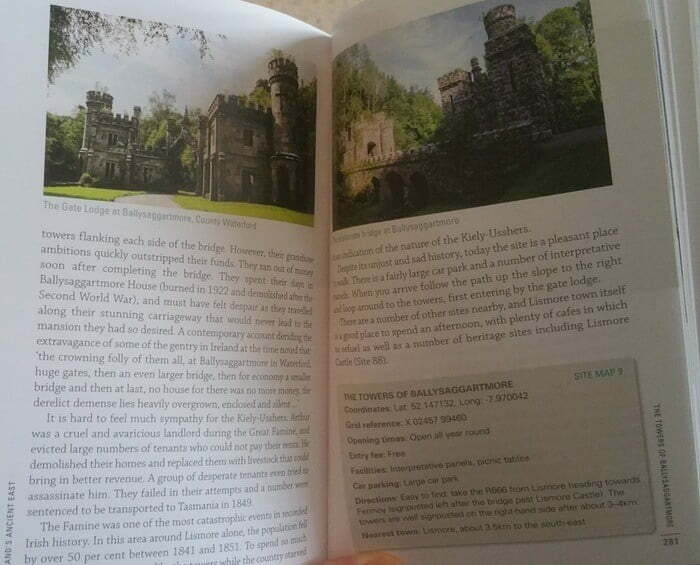 Not only did I want to read more about Irish history, I want to visit this part of Ireland. Should you be attracted to Ireland’s Ancient East any time soon, specifically to explore this region’s archaeology and history, whether for a few days or a more extended period, I have no doubt Neil Jackman’s guidebook of eastern Ireland will be your perfect companion. NextSo You Want to See a Mithraeum in Rome?